In small bowl, combine butter and mustard; blend well. Spread on both cut sides of each roll. Arrange lettuce on bottom halves of rolls. Top each with pastrami, cheese, turkey and tomato slices. Cover with top halves of rolls. Spread the rolls with whipped cream cheese instead of the mustard-butter blend, and substitute a spoonful of chunky cranberry relish for the tomato slices. 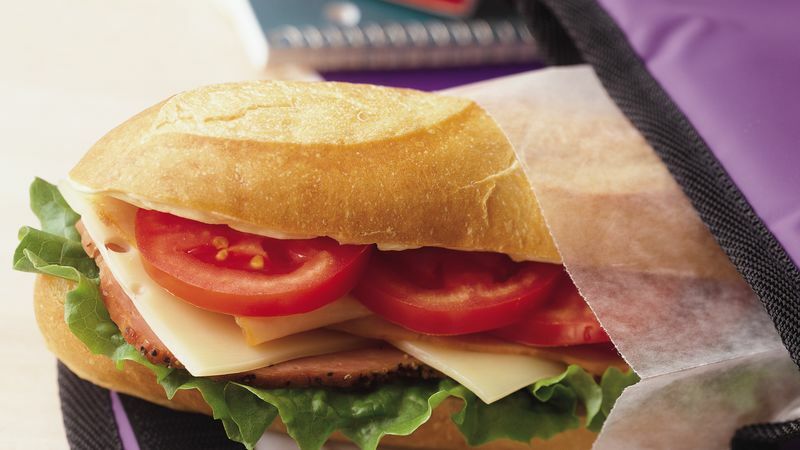 Even preschoolers can help "build" these sandwiches. If you have more than one helper, set up a sandwich assembly line. The first child in line can spread the butter-mustard mixture on the rolls, then pass each plate to the second, who adds the lettuce, pastrami, cheese and so on.